Prior to Horizon Group, Jigme oversaw the accounting department of an enterprise with several business units that included manufacturing, retail stores and hotels. Since moving into public practice with the firm over a decade ago, he has developed extensive experience with tax planning and consulting to owner-managed businesses as well as audit and assurance services to non-profit organizations and large corporations. Jigme believes that the key to assisting a client is to understand the business and the needs of the client and to develop a strategy that takes into account the big picture, encompassing personal as well as corporate taxes and future plans. After a CGA certification, two boys and countless genuine personal bonds with clients during his time at the firm, he took on the role as a partner in 2014. Jigme specializes in owner-managed businesses including consultants to the oil & gas industry and practices the mantra of going above and beyond. 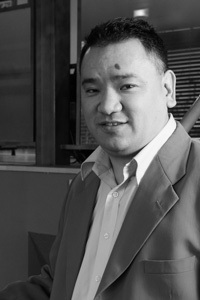 Jigme is a member of CPA Alberta. When he is away from the office, he is either cheering for the Calgary Flames or out exploring nature in the summer with his family.